NAWBO invites corporations to form a strategic alliance with an organization that represents the interests of the nation’s over 10 million women entrepreneurs, the fastest-growing segment of the business community. By supporting NAWBO, you will build brand among a notably loyal consumer group and grow your bottom line through opportunities to sell to and affiliate with our national network of successful women entrepreneurs. For more information about a NAWBO corporate partnership or other sponsorship opportunities Click here or contact us at 800-55-NAWBO or complete the Sponsorship Opportunity form and a representive from NAWBO will contact you. UPS knows how important your business is to you. Let us help you find ways to improve customer service, maximize cash flow, manage costs, save time shipping, and speed up your shipment processing. NAWBO members are eligible to take advantage of up to 26% special discounts on shipping. Your business is complex, but your planning process should be simple. 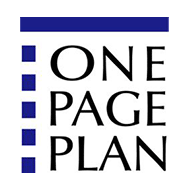 This is the company that radically simplified business planning and performance management over 20 years ago. They can help you and your teams create a culture of focus, alignment and accountability without complexity. .
Bank of America has a longstanding commitment to supporting women through internal programs that support its efforts to be a best place to work and partnerships to advance women’s economic empowerment. The resources of Bank of America help business owners succeed by offering convenient interactions and comprehensive banking, credit and cash management solutions. Wells Fargo has a rich history of supporting women business owners and providing women access to capital and financial services. 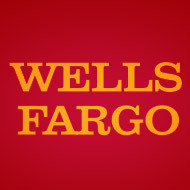 In 1995, Wells Fargo became the first financial services provider in the country to establish a national outreach and education program to help women small business owners reach their financial goals, and announced its first lending goal for women-owned businesses. 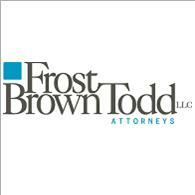 Frost Brown Todd is a full-service law firm serving some of America’s top corporations and emerging companies. With attorneys regularly identified by clients, peers and industry organizations as leaders in their practice areas, the firm advises and protects clients in business transactions and litigation in industries, including insurance, banking, financial services, manufacturing, transportation, real estate, construction, energy and health care. Fundbox is dedicated to helping women small business owners, entrepreneurs, and founders grow their businesses by democratizing access to credit. Among Southwest’s recent honors was being named to Business Week’s first ever list of “Customer Service Champs,” which ranks the best providers of Customer Service. For eight years in a row, Southwest Airlines was named to Business Ethics magazine’s list as one of America’s “100 Best Corporate Citizens”. Master Your Card is a free public education initiative created by MasterCard that helps consumers, small business groups and governments get more from their money by using prepaid, debit and credit cards to their advantage.